The 2nd hole at Nemacolin Woodlands Resort, Mystic Rock. 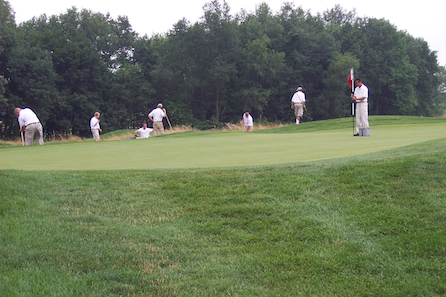 Annually the Green Committee, on behalf of the Membership Committee, conducts a Greens Operations Study. The study is done in conjunction with area superintendents at WPGA Member Clubs. All Member Clubs are encouraged to submit a survey. Clubs are recognized for their participation but results of the questionnaire are kept anonymous and are reported in categories by overall club maintenance budget. All WPGA Member Clubs are welcome to the results of the study. Contact the WPGA office by email or phone (412-826-2180) to obtain a copy of the study.